MARC STEINER: I’m Marc Steiner, welcome back here to The Real News as we continue our look at the First Step Act going through Congress, which has to do with criminal justice reform. But does it really? We are here with Eddie Conway, Executive Producer here at The Real News, who is also the host of Rattling the Bars, Dr. Natasha Pratt-Harris, who is Associate Professor and Criminal Justice Coordinator at Morgan State University, and Aajah Harris, who is SGA President at the University of Maryland Eastern Shore as well as being a Criminal Justice Major. So let’s tackle this. One of the big issues here, and let me just read this piece here. So a number of people came out, Eric Holder, Cory Booker, Kamala Harris and a number of other people came together to say this doesn’t go far enough. And let me just read what they said quickly, the first part of what they said, and let’s comment on this. So let me just stop there for a second. So these are concerns about this First Step Act. So let’s talk a bit about this. This is the politics of seeming to push through a criminal justice reform that’s going to affect the numbers of people in prison, but in reality, what people in Congress have been fighting for all this time, some people, progressives in Congress and members the Black Caucus have been fighting for, is sentencing reform in the front so fewer people are going to prison. So let’s talk a bit about that and why we think that’s not part of this and what’s really happening here. Because that doesn’t stop all these people from going to jail at all, it seems to me. NATASHA PRATT-HARRIS: Well, it’s about people not necessarily knowing about the process and how this works. We are responsible to kind of elect persons to sit in office to represent our core values and goals. But the knowledge base is missing relative to this process. So criminal justice reform has to start on the very front end. This particular bill is called first step, but the first step to penetrate the system is being taken into custody in the first place. MARC STEINER: I just had a thought here. Maybe we should call this bill the Half Step Act. NATASHA PRATT-HARRIS: Yeah, the Half Step Act, basically. So right now, as it has been in place since 2002, we have the disproportionate minority contact federal policy that says that for youth of color in particular, we need to examine what happens at every stage of the system, at the point of arrest through incarceration, through them actually getting sentenced and incarcerated. This particular act is not the first step in that process. And again, the persons who are kind of coming together to create this particular bill are acknowledging what’s very popular right now. So what’s very popular right now is first off, we cannot have so many people incarcerated. We know that our state prisons, at least, have been overpopulated. This is a federal prison issue. MARC STEINER: This, by the way, does not affect any state or local prisons, just federal. NATASHA PRATT-HARRIS: Just federal. But it’s like, OK, we’re the fed government, we’re representing what we can do, or what we can do at this at this particular level, let’s do something. So the something is we’re going to kind of acknowledge what previous administrations have done, we’re acknowledging that we can’t keep so many people behind bars, so let’s kind of massage what’s happening currently and let people out earlier, address crack cocaine sentencing issues, or at least kind of gloss over that issue and go forward. But the truth is, the first step has to be acknowledged. It’s the contact the persons had with law enforcement in the beginning which lends itself to them penetrating that system. MARC STEINER: We’re talking about, in America, 593 people per 100,000 are in prison, the second highest per capita incarceration rate in the world after El Salvador, which likes to incarcerate everybody. We’re not far behind. So Eddie and Aajah, how would you kind of, again, analyze this aspect of it in terms of what the real effect of this will be? Aajah, do you want to jump in? And then we’ll go to Eddie. AAJAH HARRIS: Like I said before, this is the third step back. You do have to understand the processes of criminal procedures. You have to start at the root of the problem instead of trying to fix the mess ups at the end. So you can’t, well you can, but you shouldn’t try to fix the flower, you should be fixing the root of the situation. So the root is maybe too many People of Color are being put into the system, not even convicted or sentenced, but put into the system. Maybe you should be addressing that issue first. And that also would then trickle down to the spacing in federal prisons, stuff like that. So I think you do have to understand the processes the criminal procedure in order to fix the actual problem. 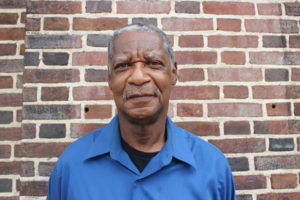 EDDIE CONWAY: And I would go back and say this is the Fake Step Act because it’s not real. MARC STEINER: So it’s not even a half step. EDDIE CONWAY: Yeah it’s not even a half step. I mean, because the first step, in reality, is that 90 percent of the people that get locked up plea deal the prosecution. The prosecutors all over the whole country is what’s driving the prison industrial complex. But where they’re getting the fuel from is unemployment, massive unemployment in poor and Black communities. And if you want to fix prison reform, you’ve got to start there, with the problems of the capitalist system, the economics of it, because people are doing property crimes and violent crimes because they need to eat, they need to live, they need to be able to pay their rent, they need to be able to try to get the creature comforts that Wall Street have convinced us we need to have. That’s where it starts. And then, once those people are put in that predicament where they do commit crime, they end up in front of the prosecutor and the prosecutor makes deals because they can’t get bailed, they don’t want to stay incarcerated forever. They’ll take a lesser charge, which will be a felony, but they’ll end up in the system. And in this particular case, this is really a fake step here because it’s pretending like it’s reforming something, and actually, it’s not reforming anything at all, it’s just glossing over it. But it’s good PR for the world, it’s good PR for the masses, the population in general, because people go away saying, oh they fixed it, they’re working together, it looks good. But nothing’s really happening. MARC STEINER: So I do want to come back, I want to conclude with kind of a discussion about what this means politically. We’ll come back to at the very end of this. But let me jump to another piece of this, which has to do with early release from the federal prison, thousands of prisoners this could mean. But what does that really mean? I think that’s what we should look at. So you’re releasing somebody from inside a prison, but then they’re imprisoned by being shackled by having the bracelets, or they’re in halfway houses, or they’re somehow still involved in the carceral system. So it seems to me that is make it look like, from the middle, we’re doing something with people who are inside, doesn’t deal with sentence reform at all from jump street, before they even go to prison. And then on the back end of letting people out, this, Eddie, you’ve been covering a lot recently, and this whole question of how people remain incarcerated even if they walk out of prison. NATASHA PRATT-HARRIS: Right. And we haven’t learned lessons from what happened in California, where there’s mandatory release, because California is the most popular restrike state. And quite frankly, we know that there are collateral consequences of incarceration, which means once you are released, there are certain things that will happen. The process of re-entering society, reacquainting one’s self with the way the world works depending upon how long you’ve been incarcerated and/or if you have had frequent bouts of incarceration, and trying to adjust to some type of stability on the outside. There’s questions about why there is such a high recidivism rate, about sixty-seven percent, federal and state level. Well, it’s because people aren’t comfortable or used to being on the outside. And they end up in systems that allow for them to be incarcerated. For example, being on parole or probation, having to follow those guidelines, and then if there’s a misstep, they go back in prison anyway. So you can actually release them early, but there are not processes in place that are radical. Not something that’s just a massage of an old process, you’re going to have the same outcome. But again, we can be optimistic and acknowledge that at least there is a discussion about it. But we also have to be realistic and acknowledge why the discussion is happening in the first place. MARC STEINER: So one of the things, Eddie, about this I think is important to touch on here, from what Natasha was just saying, is that what we’re not talking about is, for want of a better term at the moment, how this does not address the “big brother syndrome,” how it doesn’t address the digitization and privatization of incarceration, monitoring people, how it affects entire families. So while it looks really good that we’re letting more folks out of prison, which saves maybe the federal government some money by letting people out a little bit early, the other issues here are the deeper aspects of incarceration that we’re not focusing on. EDDIE CONWAY: Yeah. And I think that’s a very important piece, because what happens is you’ll see at the peak of incarceration you hit two point three million prisoners. Now you have something like two point one million prisoners. But what happens is, instead of those wall structured prisons, that’s the whole entire country and you have prisons popping up in the community with their electronic incarceration by people’s personal families signing waivers to allow their space to become subjected to criminal justice system for search and seizure, et cetera. And that’s popping up all over the whole entire country and for communities, because if you have a loved one that’s in prison and he or she can get out two or three years early by going on electronic monitoring, you’re going to sign away your rights as a citizen. So now, your house becomes part of the extension of the criminal industrial complex. And so, if you had like a little ink spots, you would start off with ten thousand prisons and now those ink spots have made it fifty thousand by incarcerating people in your house. And that’s something that’s gone under the radar and unnoticed, but it’s very important because it subjects all of us to searchless warrants. The search and seizure aspects, the Fourth Amendment and so on, no longer exists when you take your loved one or your friend or your family member in your house. You lose all constitutional rights. And that’s an important piece that’s happening now. MARC STEINER: That’s a critically important piece. And I think that these things we’re missing out of most discussions that take place, which is why I think it’s so important to grab a hold of the things we’re talking about here that you don’t hear in many places. And you just heard Eddie Conway, Aajah Harris is with us, Natasha Pratt-Harris is with us. And what we’re going to do now is go to another segment. And in the next segment we’re going to tackle. What happens if this bill is passed, what’s the politics of this? What’s next?